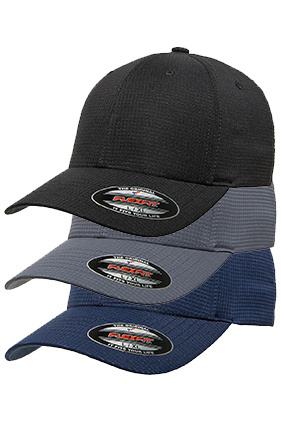 100% polyester grid fabric Flexfit Comfort® cap. EcoDry, water repellent. Structured, mid-profile. Six-panel, 3½" crown. Permacurv® visor.